Notre Dame, Indiana: Ave Maria Press, 2006. The author, a preacher and storyteller with degrees in divinity, recent American history, and theology, is founder of “Women of the Well,” a small group of female worship leaders who incorporate story, song, dance, and liturgical drama in order to give voice to our foremothers in Scripture and tradition. It was through the group’s inception in 1998 (when Ulterino was director of the Office of Women for the Roman Catholic Diocese of Rochester, New York), along with group members’ subsequent reflection on biblical women’s stories, that the powerful narratives anchoring this collection arose. Deepening the tradition modeled by her excellent first volume, Drawing from Wisdom’s Well: Stories, Celebrations, and Explorations of Courageous Women of Faith (2002), Ulterino offers a prayer service and biblical/historical reflection on each of twelve women (or constellation of women) representing the Old and New Testaments, Christian tradition, and modern communities of faith. A powerful subterranean stream of resistance and liberation theology runs subtly through the book. In a different world, Ulterino would herself be a priest—although she never names it directly. And while on the surface her reflections critique the principalities and systems that her “women of passion and faith” call us to resist, they may also be read as a critique of the church that has denied her calling. She knows intimately “[a]n institution grown seed hard, callous to the thunderous calls of God upon its soul”(p.17); but her Spirit- and scripture-fueled vision of a new heaven and earth, in which women as well as men realize their fullest humanity in God’s image, pervades every chapter. The volume, adorned with Jane Pitz’s evocative drawings, is beautifully designed to make reading a pleasure. Using Luke’s account of the road to Emmaus as a template, Ulterino guides us through the twelve celebrations with Lucan phraseology adorning page margins and weaving each chapter into a thematic flow: “Jesus himself. . . the stranger. . . came near” (the rubric for an interwoven Communion of Saints) is followed by “Stay with us” (Lydia) and “Then their eyes were opened…” (Eve). Along the way, we meet the heroic (Jochebed, Miriam, and Bithiah, women connected to the birth and survival of Moses), as well as the martyred, re-membering the Levite’s dismembered concubine of Judges 19 and resisting all violence against women in our own day. The services follow a simple pattern, beginning with gathering rites and moving through a liturgy of the Word involving the readings, musical response, and first-person reflection. A participatory ritual invites worshipers into some bodily form of prayer and blessing prior to closing rites and hymns. Participants are actively engaged from beginning to end; and while the ritual components that focus on blessing or anointing may have a “Catholic” feel for some Protestants, their elegant simplicity makes them readily accessible and opens a way for women to minister to one another. The author makes reproduction of these worship experiences relatively easy by including “stage directions” at the head of each service, with suggestions on arrangement of the worship space, materials needed, and the variety of “ministers” (worship leaders and “cast”) involved. Ulterino plumbs the riches of ancient and modern scholarship, drawing from authors as varied as Rabbi Elyse Goldstein and Elizabeth A. Johnson, Phyllis Trible and Mary Ann Tolbert; from Raymond E. Brown to Esther de Waal. Each chapter is accompanied by its own rich and scholarly bibliography (fascinating in themselves!) and is lavishly footnoted. Along the way, the author gifts us with meticulously-researched church history as well as creative liturgy; and the result is a book full of meat to be savored, whether the reader is in search of spiritual growth, socio-historical context, rich horizons for communal worship, or a heart-stirring genealogy of faith. Those “with ears to hear” will notice the persistent subtext from the author’s own life woven throughout the book. As noted earlier, Gloria Ulterino is one of those Spirit-gifted women with a genuine calling to ministry who should be, and would be, priests albeit for the blindness of their own tradition. The “most poignant phrase” in Luke’s story introduces the volume: “We had hoped. . . .” But the book isn’t nearly so much about regretting what has been denied as about the power of faithful resistance (“Get up from so many deaths of gifts unrecognized, refused, and denied!” cries out the hemorrhaging woman to us across the centuries [p.16]). The book is also the celebration of what Wisdom’s daughters have wrought. “What might [they] say to those of us who envision Church as a living organism, an alternative gospel vision in the midst of a dominating Roman culture?” (from the service based on Lydia’s life, p. 73). Walking through stories of faithful women with Gloria Ulterino is like being part of an astonishing archeological dig. This is no casual compilation of “quick and easy” worship resources, but a tapestry of profound detail, with juxtapositions unearthed by Ulterino’s careful scholarship. The best in contemporary feminist biblical study is reflected in Eve’s positive characterization as a seeker after wisdom, much loved by God, and God’s resulting affection for her. The departure from the Garden, traditionally imaged in art and exegesis as an angry punishment, is reframed as the Creator’s tender protection of Her developing children. Ulterino sees in the lives of all these women “a story of our time, resurrection time. And women are to be found everywhere in it, although often disguised through anonymity. They are at the empty tomb. And most likely on the road to Emmaus itself. They are in the Jerusalem community. . .” (p.9), and page by page, we are led to discover that they are among and within us as well. There is little to be found that would take away from Walking with Wisdom’s Daughters as a timely and timeless resource, particularly for women who are discontent with the church as it exists. 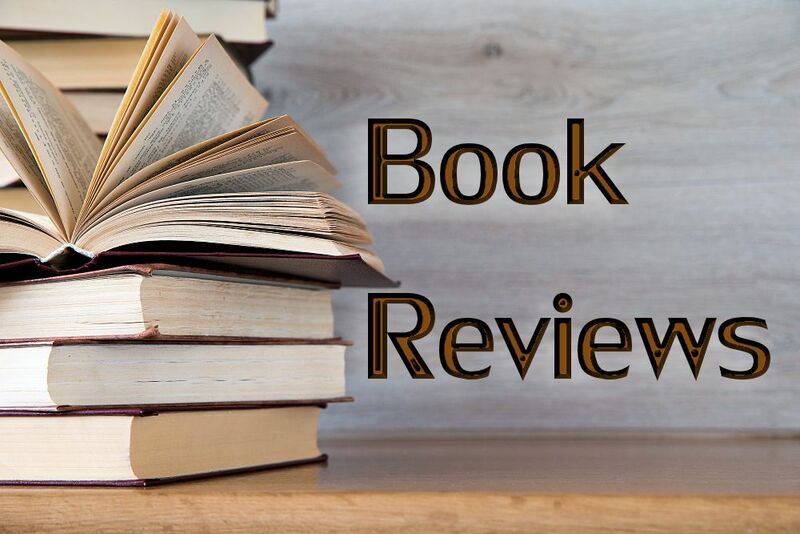 A single caveat might be that the book’s rich content tends here and there to be repetitive between content of the service itself and its background narrative. Whether or not this pattern of reiteration was intentional on the author’s part, there is still something to be said, for example, for the way significant historical details become rooted in the reader’s memory, thereby providing an insight of sorts into what Ulterino herself values most highly, as well as providing us with slightly varying ways to “hear” our historical sisters’ stories. Walking with Wisdom’s Daughters also offers a wonderful modeling of the usefulness of midrash, the ancient Jewish method of questioning the text, listening for God’s voice “between the lines” of Scripture, and then recording the new interpretations that arise. Where our female forebears have gone nameless, where Scripture has seemed silent, midrash serves feminist Christians well— giving us back our own stories as Wisdom’s beloved daughters. Each of the sisters (ancient and modern) fleshed out here encourages us to reach for and to embrace our own calling. Stories can be projectiles of punishment. . .
Jagged missiles propelled at adulterers…. And others, intended to control, maim, isolate, and destroy. A prayer service to remember Maura Clarke, Dorothy Kazel, Ita Ford and Jean Donovan, the four American (Maryknoll) sisters murdered for their advocacy among the poor in El Salvador some twenty-five years ago, lies squarely at the heart of the book and finds form in Stations of the Cross. It not only makes a powerful Good Friday celebration but will also break open the heart of even the solitary reader with its dismayingly contemporary relevance. 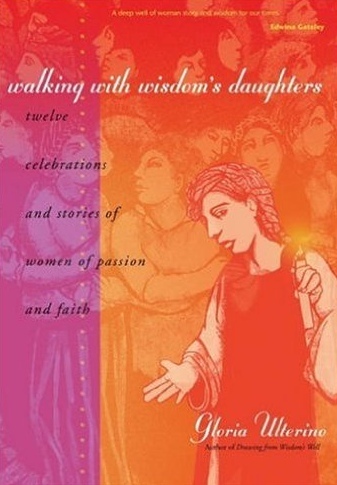 Walking with Wisdom’s Daughters is not only a wonderful source for participatory worship in women’s communities; it is a volume of faith history — a “Facebook” of our foremothers, a prayerbook, and a handbook for the spiritual life. Lucky its binding is strong! It will quickly become a beloved, marked-up, and dog-eared part of your personal library!